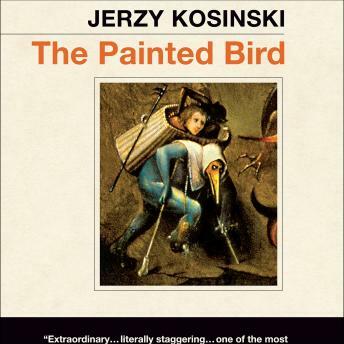 Originally published in 1965, The Painted Bird established Jerzy Kosinski as a major literary figure. Called by the Los Angeles Times "one of the most imposing novels of the decade," it was eventually translated into more than thirty languages. A harrowing story that follows the wanderings of a boy abandoned by his parents during World War II, The Painted Bird is a dark masterpiece that examines the proximity of terror and savagery to innocence and love. It is the first, and the most famous, novel by one of the most important and original writers of this century. Disturbing, challenging. A test. Beautifully written and convincing. Thought about this book for a week now and will remember some of the scenes described forever--in detail! Whatever controversy it has garnered it is worth the read/or listen. The narrator does an excellent job, he owns the 'voice', so much so, I forgot all about him. Be warned, sit down and enjoy?